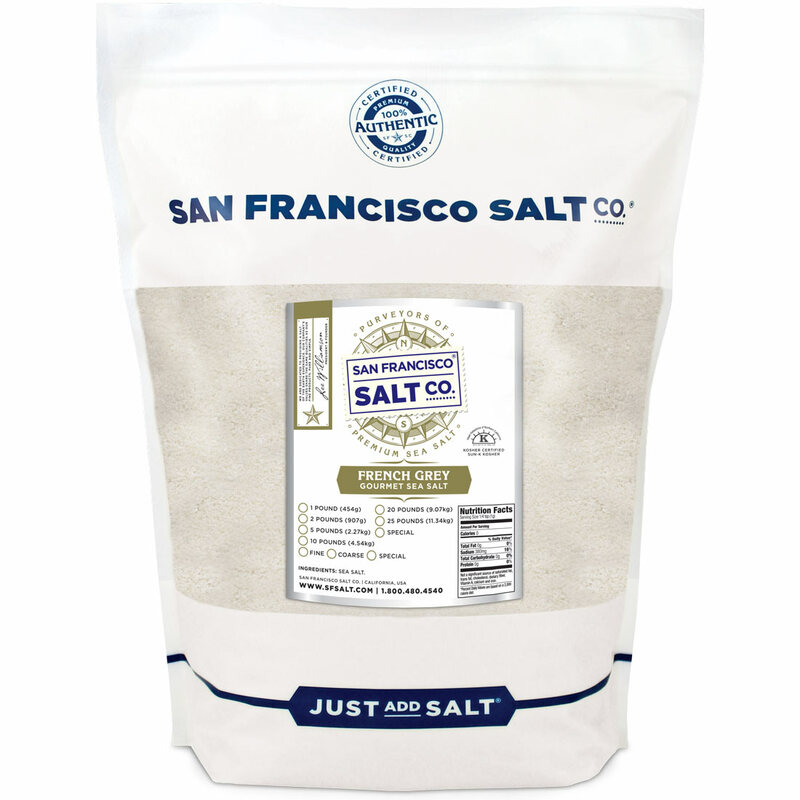 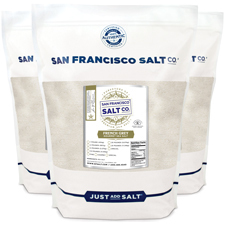 Fine Grain French Grey Salt - 20lb Bulk Bag | San Francisco Salt Co.
PACKAGING - 20 lb. 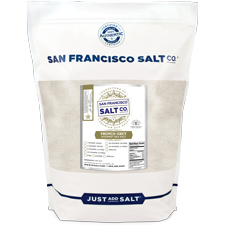 Resealable Bag. 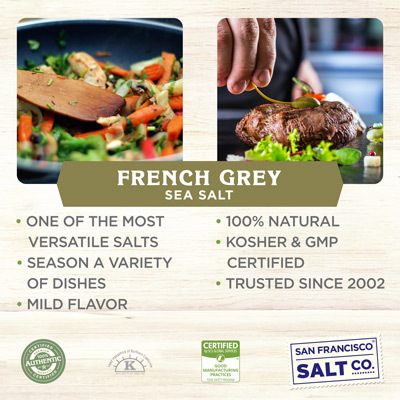 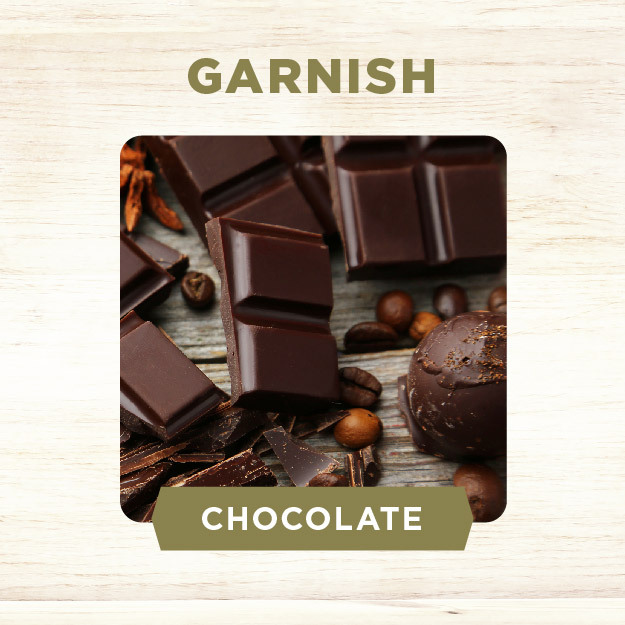 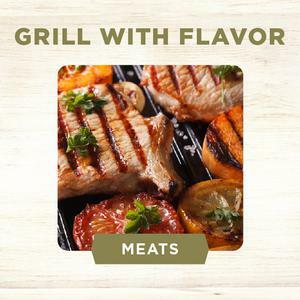 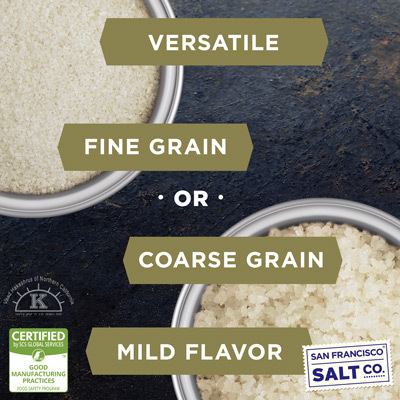 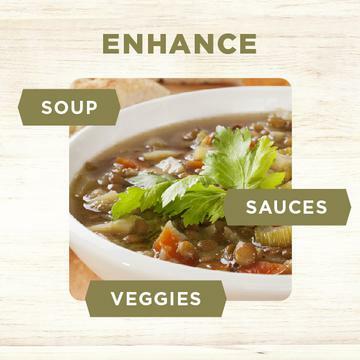 PROPERTIES - Our French Grey Sea Salt is�Kosher Certified, Non-GMO, and does not contain any MSG, Soy, Gluten, Dairy, or anti-caking agents. 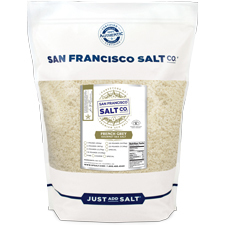 We package in our U.S.A., SQF Quality code compliant facility.